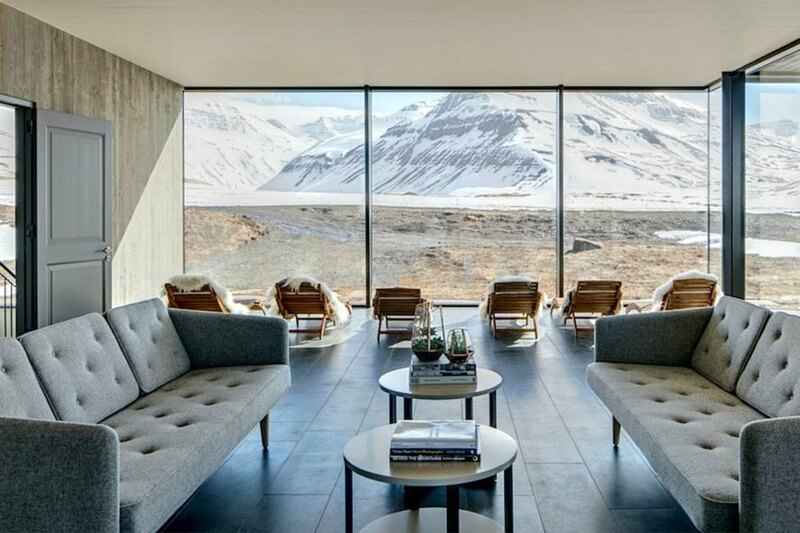 A sheep farm tucked into the mountainous landscape of Iceland’s Troll Peninsula has been transformed into the stunning Deplar Farm resort. Surrounded by breathtaking scenery, the off-grid lodge really couldn’t be more remote – and it celebrates the true unspoiled beauty of the area. 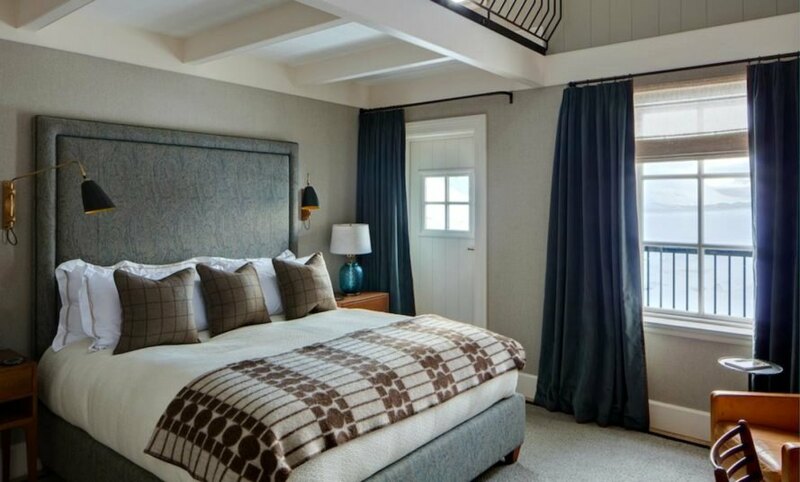 Best of all, Deplar Farm was renovated with locally-sourced materials and a lush green roof. Although it has been converted into luxury cottages, the farm still maintains much of his humble character. Locally-sourced materials were used in the renovation process – including natural stone from nearby rivers. An elongated grass-covered roof runs the length of the dark timber building, helping it blend into the natural landscape. The resort offers 13 en suite rooms, each with an abundance of large windows to provide stellar views of the surrounding mountains, lakes and rivers. 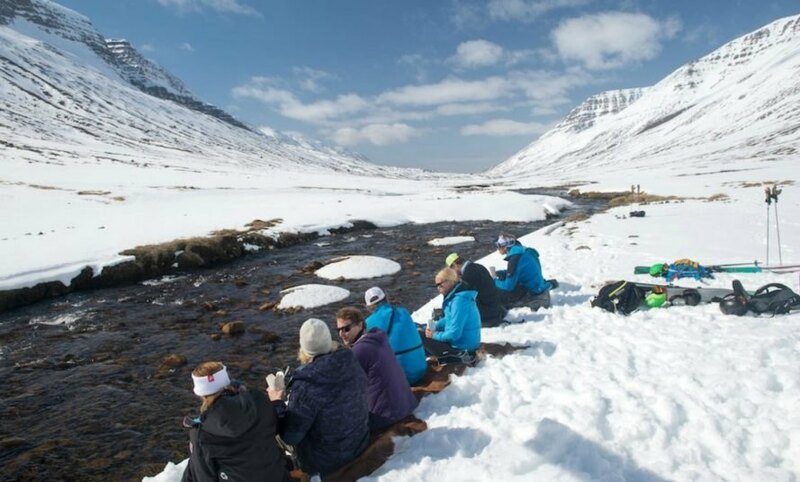 Guests not content to enjoy the view from the warmth of the lounge or spa can enjoy any number of thrilling activities in the area – from heli-sking to snowmobiling. And for the ultimate experience, guests can take in the Northern Lights while swimming in the resort’s geothermal infinity pool. 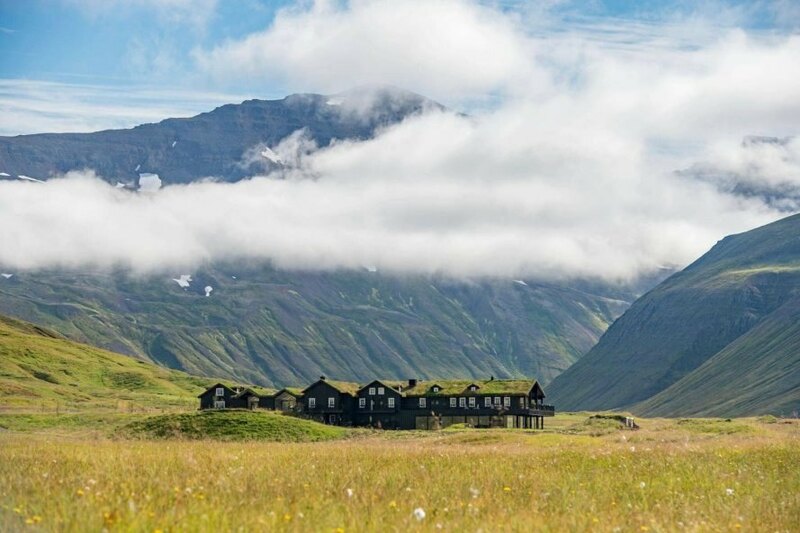 The stunning Deplar Farm resort - a former sheep farm tucked into the mountainous landscape of Iceland's Troll Peninsula - really couldn't be more remote. 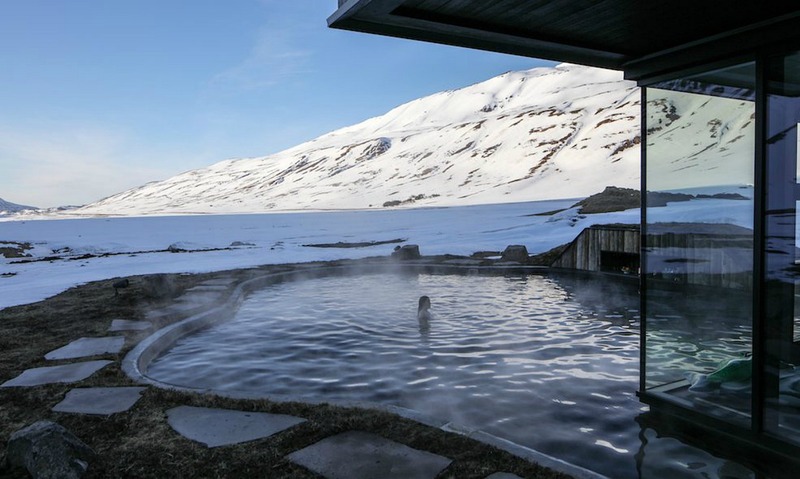 Surrounded by the breathtaking scenery, the off-grid lodge, which comes complete with a full spa and geothermal infinity pool, offers guests the ability to enjoy the true unspoiled beauty of the area while staying luxurious accommodations. Although converted into luxury cottages, the resort still maintains much of his humble farming character. Guests can take in the Northern Lights in the resort's geothermal infinity pool. Guests can enjoy a day at the spa can enjoy any number of thrilling activities in the area, from heli-sking to snowmobiling. The resort offers 13 en suite rooms, each with an abundance of large windows to provide views of the surrounding mountains, lakes and rivers. The rooms are bright and airy. The resort offers a number of fun activities. The Deplar Farm used to be an old sheep farm years ago.